Please print out liability waiver & barcode after you sign up, which will be needed to volunteer at the event. 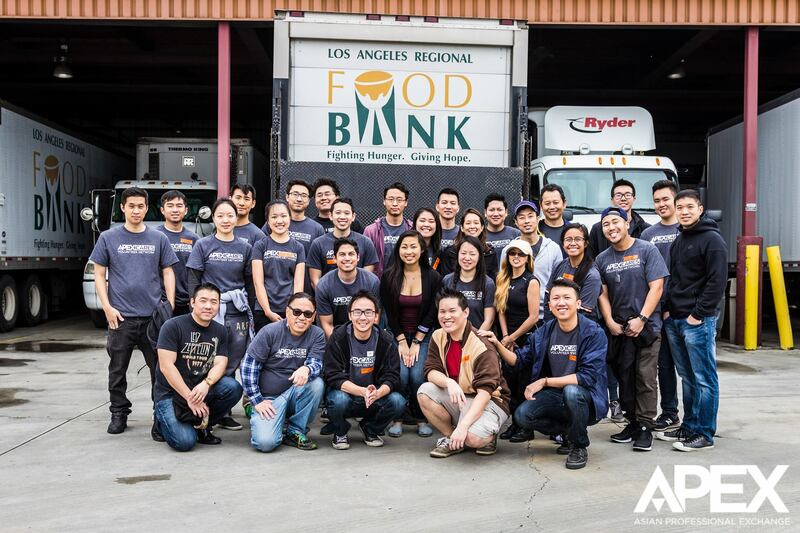 For our next APEX Cares event, we will be volunteering at the LA Regional Food Bank! Currently, 1 in 7 people in Los Angeles experiences hunger. Fight hunger with us by giving just a little bit of your time! Help us sort, inspect, and repackage donated food items from local food drives before they get distributed to those in need.